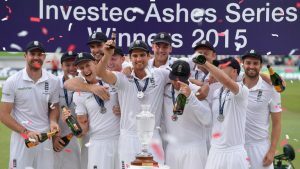 Over the past three years, England has been evolved as one of the best in white ball cricket. After the World cup 2015 debacle (where Bangladesh knocked them out of the first round) their turn around has been exemplary. For this turnaround, Trent Bridge, Nottingham has played a key role in English cricket. During the said period, this venue has been their fortress, especially in 50 over format. They looked utter different prodigy, whenever they took the field at this venue. June 19, 2018, took England to whole new level when they thrashed the mighty Aussies and created world record by scoring a whopping total of 481; surpassing their own record score of 444 back in 2016. It was an overcast condition and sky was full of clouds on 6th of August, 2015 when Alastair Cook won the toss and elected to field first. England was in a bit of a concern as there premier pacer James Anderson was not in the playing 11. But the first session of that test match was nothing but ‘Stuart Broad show’. With his medium pace bowling and ability to swing the red cherry both ways; Broad was at his brutal best. Australians were wrapped up on a meager total of 60. Three of their top four were back in the pavilion without troubling the scorers. Stuart Broad ended up first innings with mind-boggling figures of 8-15 in just 9 overs. This sudden attack from Broad was more than enough for the Australians as they never recovered in that test. England ended up winning that five day game within three days. With this, England regained the Ashes and it also proved to be Michael Clarke’s last Ashes series. This game was probably the foundation of Trent Bridge, as a fortress for cricket pioneer nation. With a gap of six years, Pakistan was touring England for a full series. With Pakistan drawing the test series 2-2, it was 3rd of the five-game ODI series back in 2016. Pakistan had the last opportunity to save the series while England was all to take an unassailable lead in the series. Again, Trent Bridge was the venue and again England was magical. By opting to bat first, England thrashed the record of highest team total (previously held by Sri Lanka) by piling up a massive 444 runs in the allocated 50 overs. 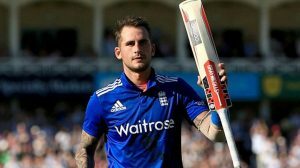 Alex Hales was the star of the show as he smashed 171 runs in mere 141 deliveries and later on adjudicated as the man of the match. Wahab Riaz created an unwanted record for the most expensive spell of 110 runs in his quota of 10 overs. Pakistan lost that game by 198, but it could have been worse had Mohammad Amir not there. Amir, at no. 11 scored 58 off 28 balls and bagged record of the highest individual scorer at No. 11. Yesterday was arguably the happiest day for English fans as their team defeated their arch-rivals by jaw-dropping 22 runs. It was a day with loads of records. First, English skipper Eoin Morgan became their all-time leading run-scorer in ODIs. He scored 21 ball 50, which is fastest by an Englishman. England, yesterday, claimed their biggest victory in terms of runs and on the other hand, current world champions Australia got their biggest defeat in the same way. Like Wahab Riaz, it was Andrew Tye who was the biggest victim of English batting. He conceded 100 runs in his 9 overs. At one stage, England were all set for breaking barrier of 500 runs but England could not manage to score a boundary in their last four overs. Still, they had struck 21 sixes and 41 boundaries before this. With this, men in blue stamped the fact that city of Nottingham has produced two players who have given England glories. First Broad and now Hales; both from Nottinghamshire and local boys off course. All in all, England deserve all the praise. But still there is undeniable fact that Australia not only lost the services of Smith and Warner, two absolute stalwarts of Australian batting line-up; but they are clueless in their bowling in the absence of Starc, Hazlewood, and Cummins. Nonetheless, England is in red-hot form with a strong contender for the title and definitely would be expecting for same Trent Bridge magic in the forthcoming ICC Cricket World Cup, to be held in England next year.